Blueberries are members of the Ericaceae plant family and are one of only two commercially produced fruit crops that are native to North America. Close relatives of azaleas and rhododendrons, blueberries are also perennials that share the same acidic soil and climate requirements. Centuries ago, native Americans ate blueberries to treat stomach problems. Highbush (Vaccinium corymbosm) – originated in the coastal forests of the eastern United States and were first domesticated in the Pine Barrens of New Jersey. Highbush blueberries are typically hardy in USDA Plant Hardiness Zones 3 – 7. Lowbush (Vaccinium angustifolium) – these are the wild blueberries that can be found in almost all areas of the United States. Rabbiteye (Vaccinium ashei) – native to the coastal regions of the southeastern United States such as Florida, Georgia, North Carolina, and South Carolina. Half-High – hybrid varieties developed by crossing Highbush and Lowbush varieties. Southern Highbush – hybrid varieties that are the result of crosses between Highbush varieties from Michigan and New Jersey, with Rabbiteye varieties. They combine the high fruit quality of Highbush blueberries with the heat and disease tolerance of native Rabbiteye varieties. As more and more research is done on the nutritional characteristics of blueberries, they are quickly beginning to be labeled as a “super food.” Blueberries contain antioxidants, anthocyanosides, bacterial inhibitors, folic acid, vitamins A and C, carotenoids, ellagic acid and dietary fibers. Blueberries contain more antioxidants than any of the 40 other fruits and vegetables currently tested by the USDA. Antioxidants protect the body from many chronic diseases associated with aging. Anthocyanosides can improve cardiovascular health, and based on a recent study of fighter pilots who were given regular doses of blueberries, can significantly improve night vision. Bacterial inhibitors in blueberries prevent bacteria from anchoring to the bladder, thereby helping to prevent urinary tract infections. The folic acid may help guard against cervical cancer and may benefit the fetus during pregnancy. Ellagic acid has been found to have inhibiting effects on cancer in laboratory studies. Other studies by the USDA have found that blueberries also lower blood cholesterol, reduce the effects of glaucoma, and improve memory. They also contain smaller amounts of quite a few other vitamins and minerals. The most critical factor in successfully growing blueberries is the pH of the soil they are to be planted in. BLUEBERRIES MUST HAVE ACID SOILS, with a pH between 4.5 and 5.2, in order to thrive and produce fruit. If you don’t know what the pH of your soil is, follow the tips on Soil Testing in our article Soil: It’s Not a Dirty Word. A good rule of thumb to keep in mind is that if azaleas and rhododendrons, other acid soil loving plants, thrive in your soil, then blueberries will most likely also do well in that soil. Be sure that the soil, and if being used, the containers are also well drained and free of rocks, weeds, and trash. Contrary to some blueberry folklore, blueberries will not tolerate excessively wet soil conditions. If your soil is not within the specified pH range for blueberries, your best option is to grow your blueberries in raised beds, or containers such as whiskey barrel halves, filled with a mixture of peat moss and pine bark. Trying to acidify your soil by chemically lowering the pH is a difficult, expensive, and usually not particularly successful proposition. Blueberry plants should be planted in an area with good air circulation that receives Full Sun exposure in order to develop good fruit flavor and maintain high yields. Avoid low lying areas, where cold air can collect, and areas surrounded by buildings, fences, trees or other structures that may shade the plant or limit air movement. Check out our Sun or Shade tool for the definition of Full Sun. Plant Blueberries in the early spring, before new growth starts, or in late fall after the first frost. Dig a hole twice as wide as the root ball and to the same depth as the plant was grown in the nursery. Cut off broken or injured roots before planting, fill in around the plant, pack the soil firmly around the roots, and water plants thoroughly to help settle the soil. Blueberry plants consist of a shallow root system and woody canes originating from the crown of the plant. The root system is very fibrous but has no root hairs. This makes the plant very sensitive to changing soil water conditions so mulch is essential to good plant health. After planting, mulch the plants with an organic sawdust, wood chip, pine needle, or straw mulch to a depth of about 3 inches being sure to keep the mulch from touching the base of the blueberry plant. The blueberry plant roots will grow in the area where the soil and the mulch meet, so be sure to add new mulch every year or two as needed. 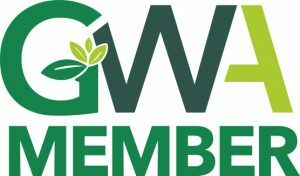 This will keep the roots from becoming exposed, help the plant conserve moisture, moderate soil temperature fluctuations, and increase the growth of the plant. Do not fertilize immediately after planting, as blueberries are very sensitive to fertilizer burn. After new growth begins in the spring and rain or irrigation settles the soil, you can start a regiment of applying low rates, 2 to 3 ounces per plant, of an azalea fertilizer, two to three times per year. Spread the fertilizer evenly around the plant about 24 inches from the base. Blueberry plants are “calcifuges.” Besides requiring acid soil, they do not tolerate alkaline or basic water that has too much calcium bicarbonate or sodium. If at all possible, water blueberry plants with captured rainwater. Blueberries are shallow-rooted plants that need about 2 inches of water per week during the growing season. Water is necessary for fruit set, fruit size and plant vigor. During ripening, drought conditions may affect fruit flavor and reduce fruit size. Proper watering is particularly important the first year if it is dry to ensure plant survival. Drip irrigation is recommended. Keep blueberry plants free from weeds, as weeds will compete with the growing plants for soil nutrients and water. Do not dig too deep when using a hoe, or pulling weeds to avoid damaging the shallow root system. Remove all flower buds in both the first and second years after planting to stimulate good shoot and root development. The best time to prune is in the early spring when you can assess and remove all dead wood. Prune out all low branches that will never be picked and are a source for disease. The largest blueberry canes do not produce the most fruit. Rather, canes that are 1/2 to 1 inch in diameter at their bases are the most productive. Locate the oldest canes, and prune out one of every six canes. Thus, if the plant has twelve canes, remove two of the oldest. Repeat these steps every year to ensure the best fruit production. Diseases and fungus such as Mummy Berry, Botrytis Blight, Phomopsis Canker, can be a minor problem during cool, wet weather. The best preventative measure is to keep the area around the plant free of dead or fallen fruit, leaves, and branches. Although relatively free from insect, disease, and fungal damage, BIRDS ARE A SERIOUS THREAT TO BLUEBERRIES. An entire crop of blueberries can be eaten in a single day by birds. The most effective method of protecting your blueberries is to cover the plants with netting just before the berries begin to ripen. The netting can be removed once the harvest is completed. As a rule, berries will ripen 60 to 80 days after bloom. Immature fruit have a reddish tinge, while ripe fruit are a uniform blue. Fruit do not develop their full flavor when they first become blue but require one to two days to develop full flavor. Each cultivar will normally supply fresh fruit for a two- to three-week period. Fruit do not ripen evenly throughout the cluster and should be picked at least once a week. Only fully mature fruit should be harvested since immature fruit are quite acidic and of poor quality. Fruit flavor and sugar content will not improve after harvest. Thus, the best tasting fruit are obtained if the berries are allowed to ripen fully on the plant. Fruit should be handled carefully and as little as possible to avoid rubbing off the bloom (the light waxy finish on the skin) and to reduce bruising that leads to decay. Pick blueberries in the morning after the dew has evaporated, and they are completely dry. If picked in the afternoon, the berries are more likely to be warm, which makes the berry more susceptible to post-harvest breakdown. Blueberries can be eaten fresh or used for jelly, jam, pies, pastries, or juice. Do not wash blueberries until you are ready to eat them because water on the berries will cause deterioration to occur faster. Keep freshly picked blueberries in the refrigerator and in a rigid container that is covered with plastic wrap and they can be stored for up to two weeks. Freeze blueberries for longer-term storage. 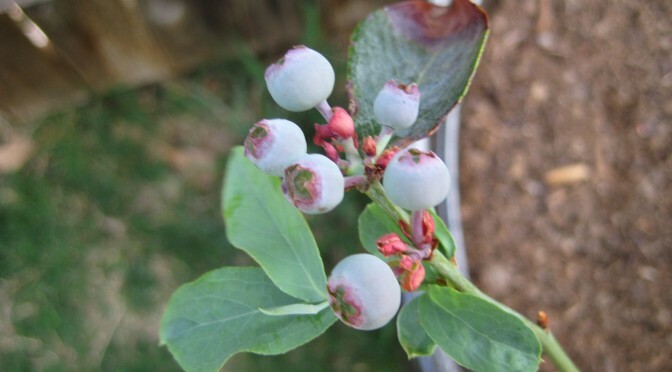 Watch for our upcoming E-Book “The How Do Gardener Blue Berry Planting Guide” that will include the Recommended Varieties, Days to Harvest, Spring Planting Dates, and where applicable, the Fall Planting Dates for Blue Berries in each state.